Amazon.com Price: $32.30 (as of 2019-04-25 14:06:35 GMT) Product prices and availability are accurate as of the date/time indicated and are subject to change. Any price and availability information displayed on Amazon.com at the time of purchase will apply to the purchase of this product. VARIETY DESCRIPTION: Before coffee was complicated, great coffee was simply fresh, bold, and flavorful. The Original Donut Shop brings back the classic donut companion in decaf, with this ideally balanced brew of the highest quality Arabica beans … dunking is encouraged. Made with 100% Arabica coffee. 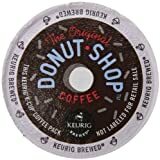 ABOUT THE ORIGINAL DONUT SHOP: Some people won’t admit it, but the best part of a donut is the coffee that goes with it. Without coffee, donuts are just another confection. But Donut Shop Coffee? That’s a different story. The Original Donut Shop Coffee lingers on your tongue and warms the soul. It brightens your day like a big scoop of sprinkles. And who doesn’t like sprinkles? If you go through life as if it’s a sweet surprise filled with jelly and covered in frosting, The Original Donut Shop Coffee is for you. 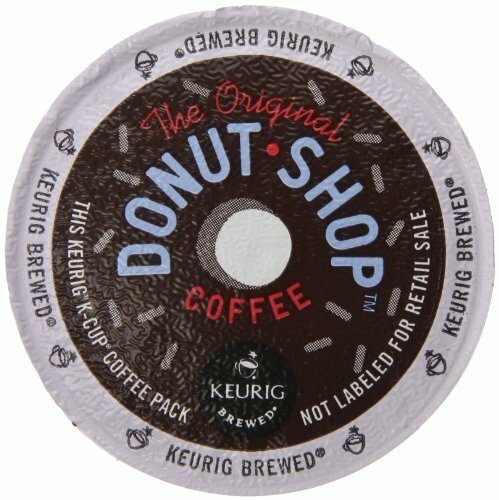 Donut Shop K-Cup packs for Keurig Brewers (Pack of 50) $0.60 Each!